Ukraine is a country in Central Europe which, in 1986, was part of Union of Soviet Socialist Republic. Ukraine is a little larger than France, bounded to the east by Russia, to the north by Belarus, on the west by Poland, on the south by Romania, the Black Sea and the Crimea. 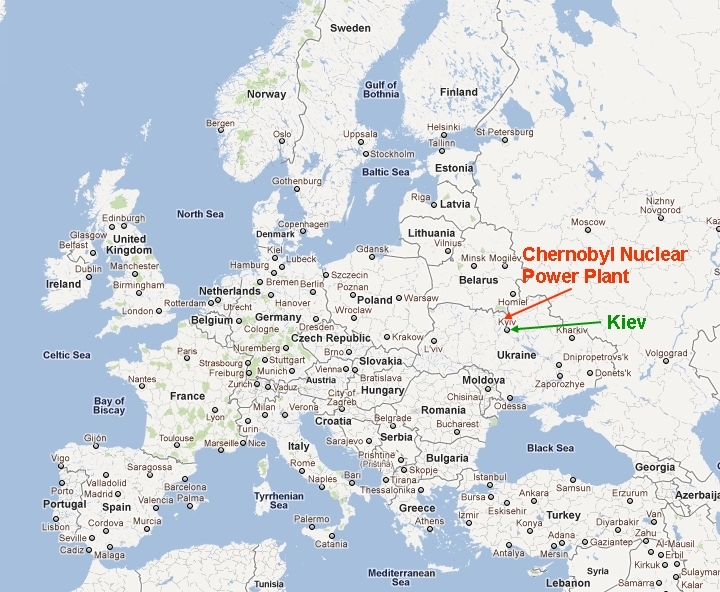 Chernobyl was a small town of 12,500 inhabitants, in Ukraine. It is located about 110 kilometers in north of Kiev (Kyiv), the capital city of Ukraine, with its 2.8 million inhabitants. 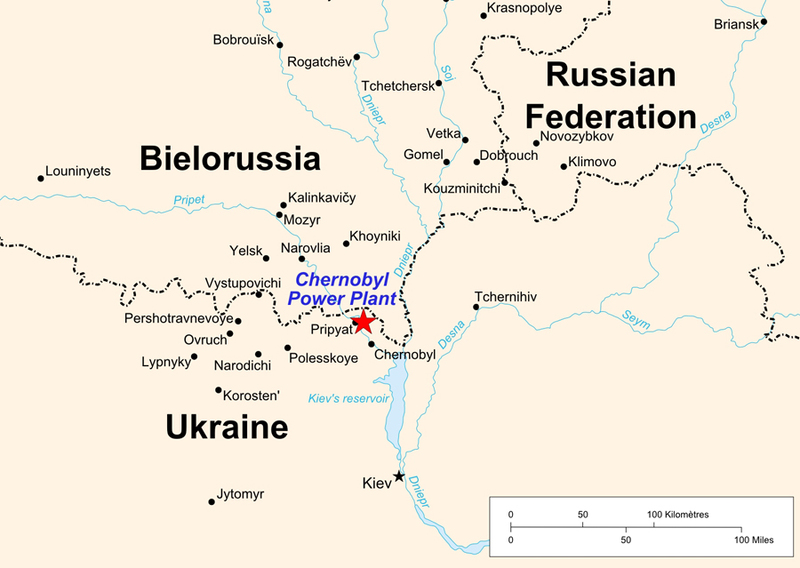 The nuclear power plant, built along the Pripyat River, is located three kilometers in the southeast of the town of Pripyat and about fifteen kilometers south of the Belarusian border. Pripyat was founded by February 4, 1970, at the beginning of the construction of the plant to house the staff of the power plant and their families. The city took the name of the Pripyat River which flows along the city and the NPP. At the time of the accident, April 26, 1986, Pripyat housed nearly 50,000 inhabitants. The construction of the nuclear power plant began in the 70s with the reactor No. 1, which was commissioned in 1977, followed by the reactor No. 2 in 1978 and reactors No. 3 and No. 4 respectively commissioned in 1981 and 1983. At the time of the accident, two other reactors, No. 5 and No. 6 were under construction. Each of these reactors, of RBMK type, had a power of 1 gigawatt (GW) and, in 1986, the power plant with its four operational reactors provided about 10% of Ukraine's electricity. 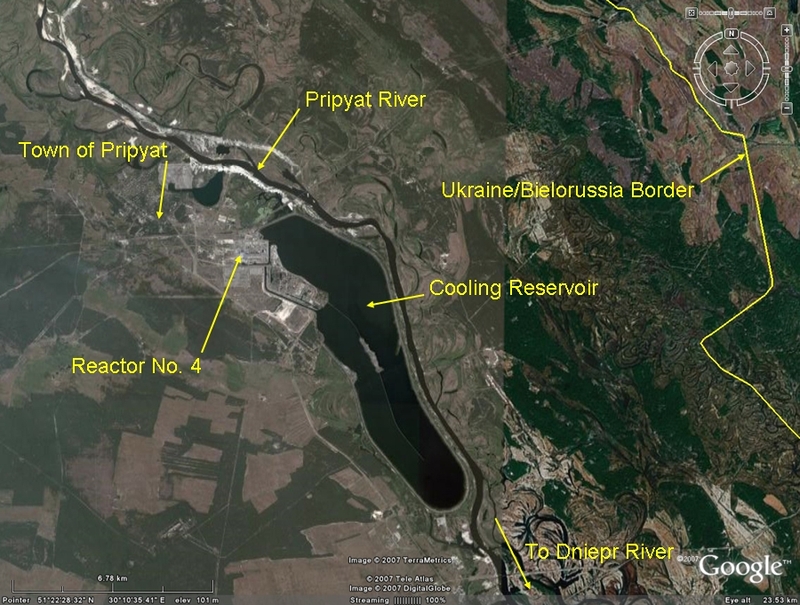 A cooling lake has been dug in the southeast of the plant, along the Pripyat River, river which then joins the Dnieper River to Kiev.